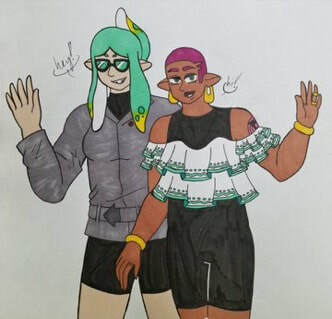 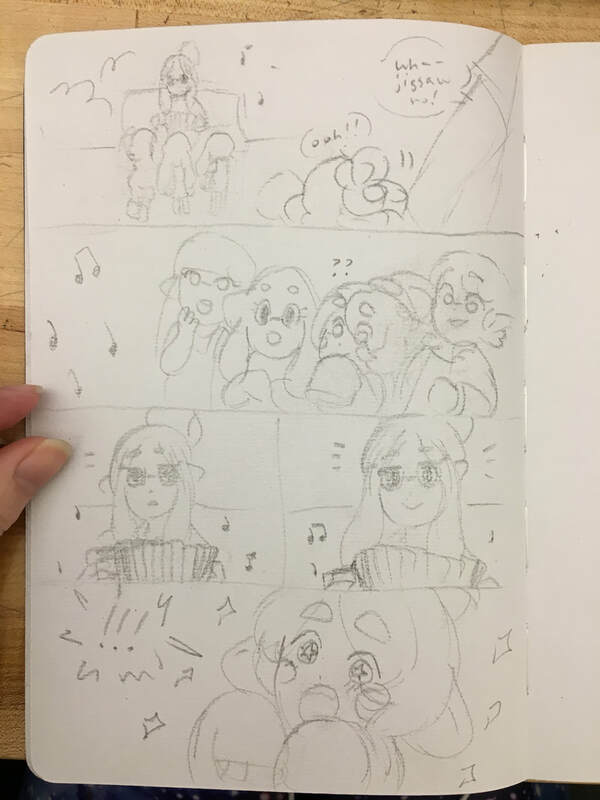 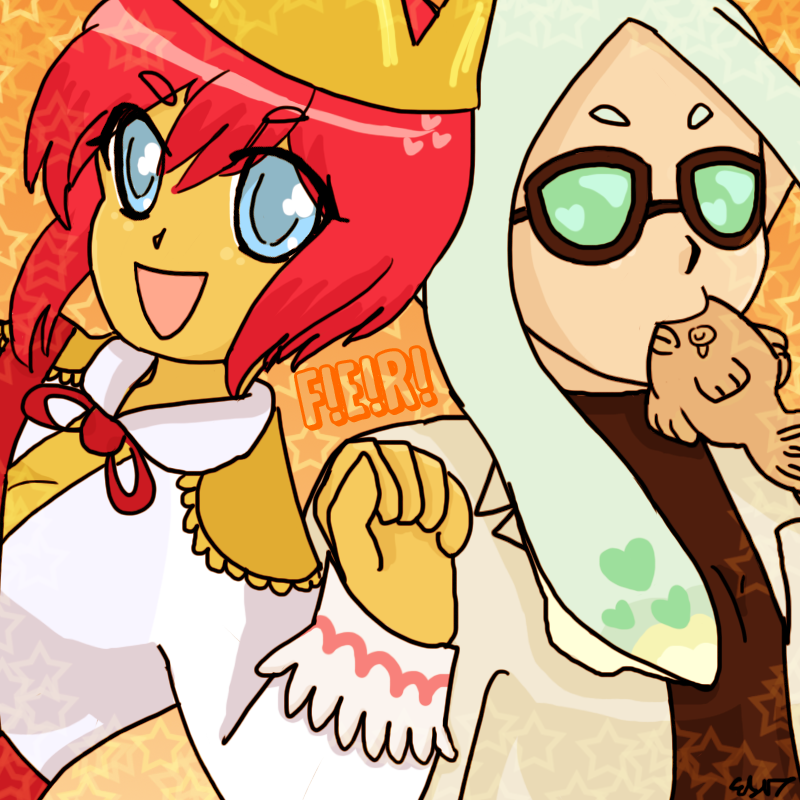 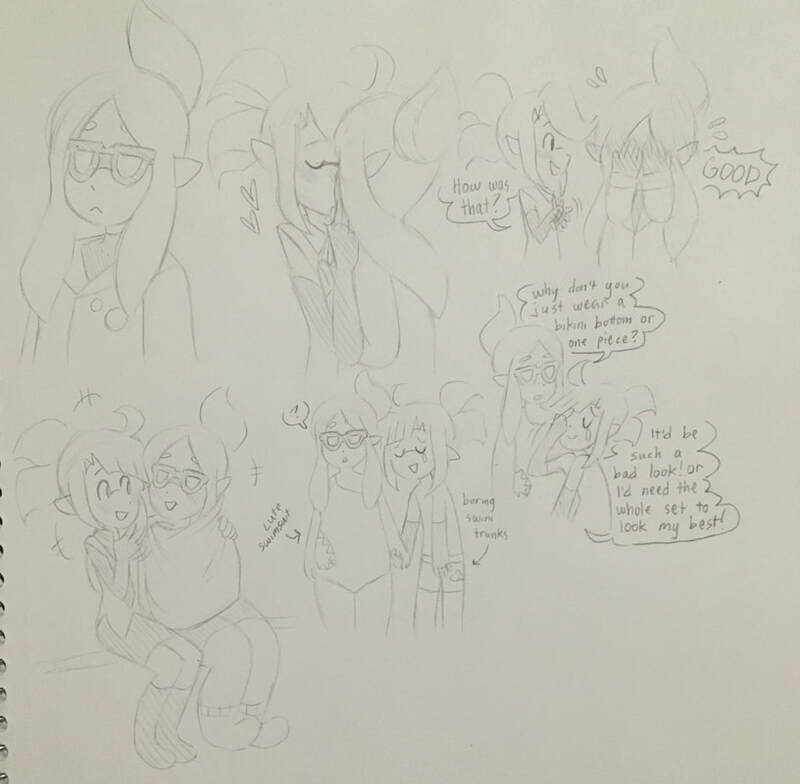 Lychee wanted to be a kind and friendly squid to all, but because of her short temper, she struggles in making friends. She is almost always seen with sunglasses -- she likes the look, of course, but she has a high tendency to cry and doesn't want to show that weakness to others. 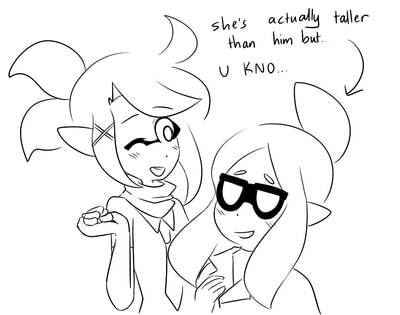 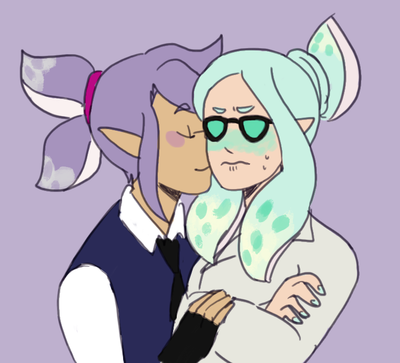 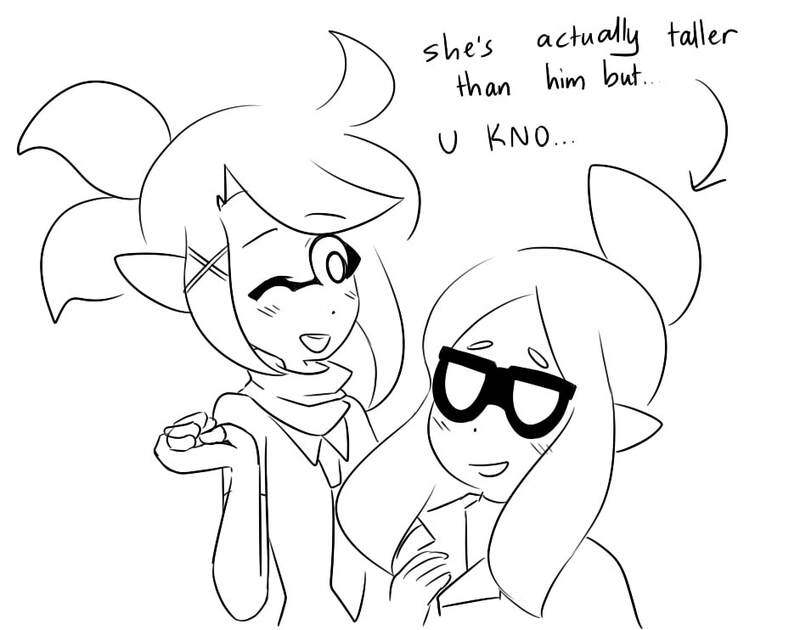 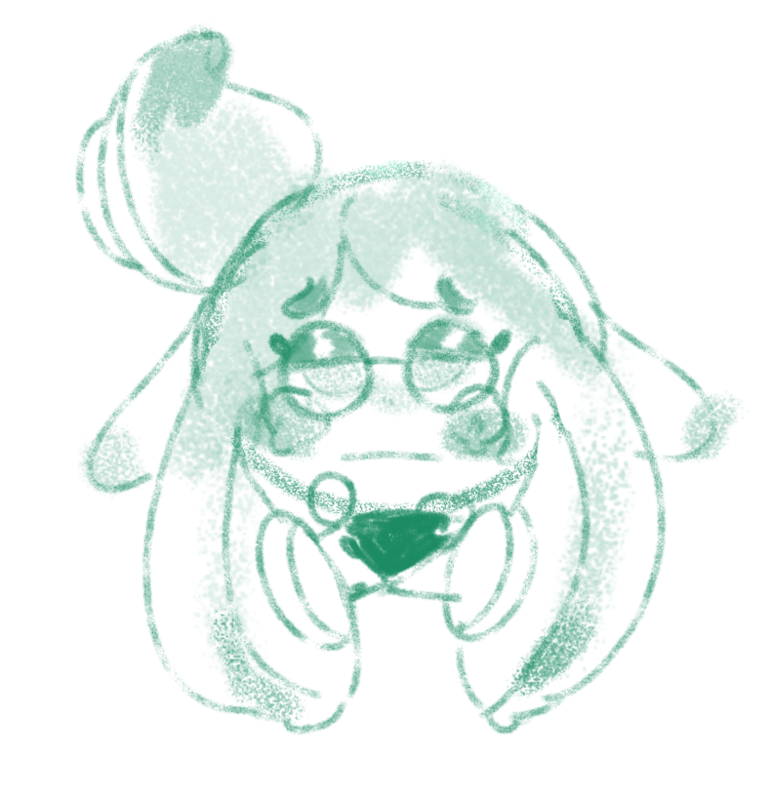 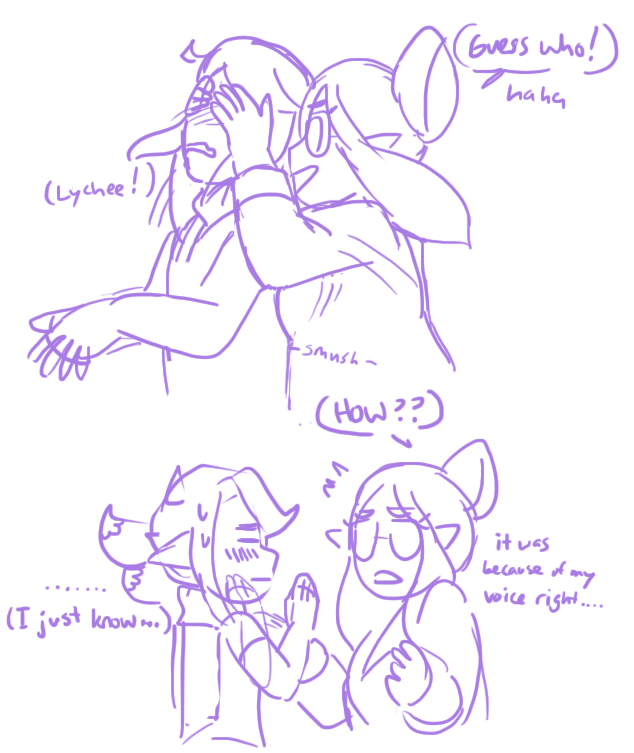 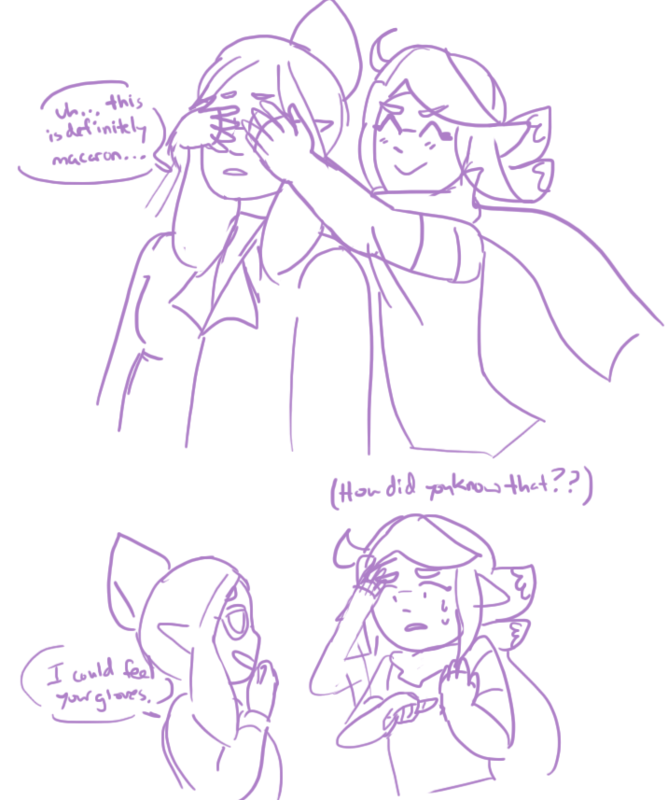 Having been teased for her height and weight, Lychee can't stand seeing younger squids get picked on and will always take their side, no matter who was in the wrong. 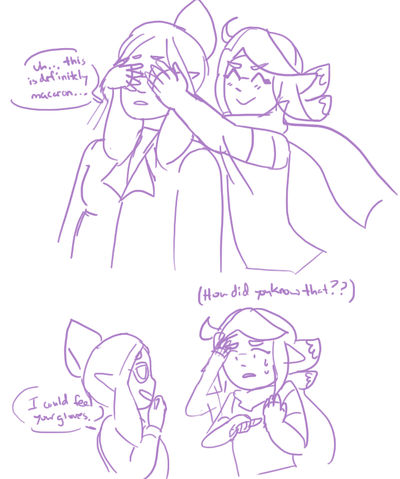 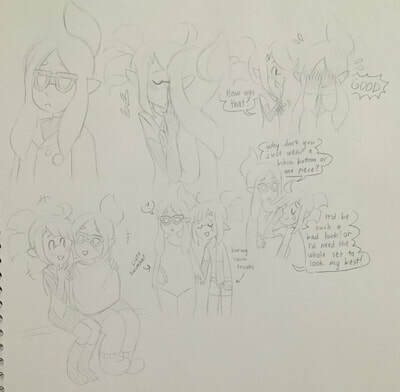 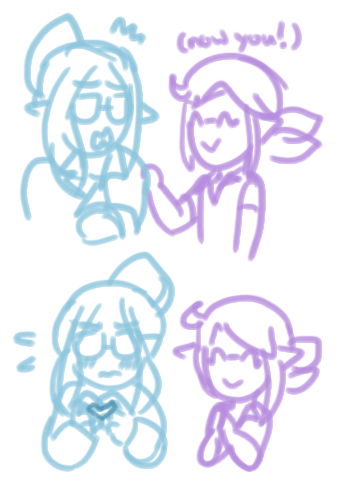 Younger squids seem to gravitate towards her when they're worried about something (or need a bigger person to ward off a bully), but at the same time, it's her short fuse that might scare them off. 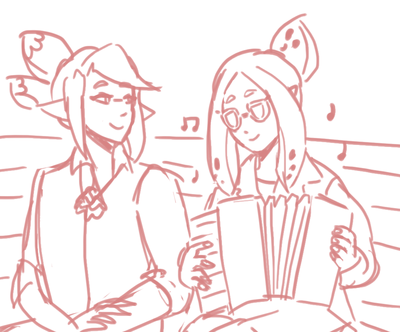 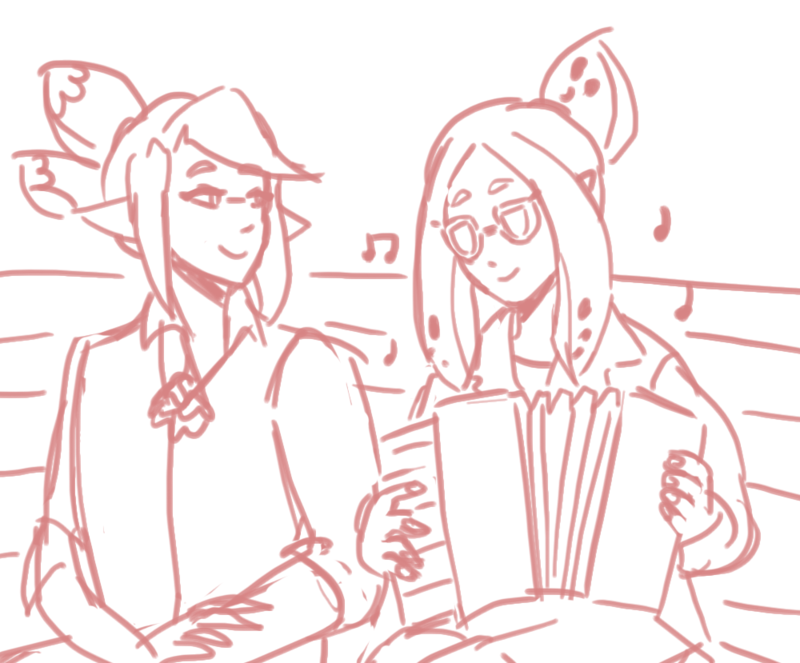 Lychee, in hopes of appearing a bit softer, enjoys playing her accordion outside as a sort of mini-concert for anyone who's feeling sad. 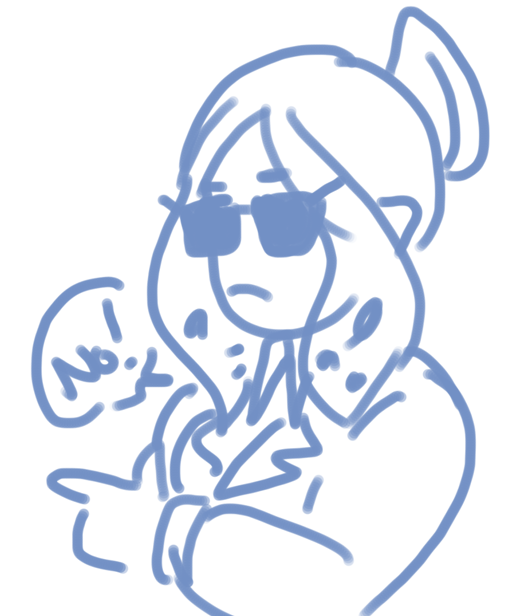 It was, unfortunately, a common experience in her youth to be asked out as a joke, twice by people she was actually interested in, so she decided henceforth that dating was too unrealistic a goal to have. 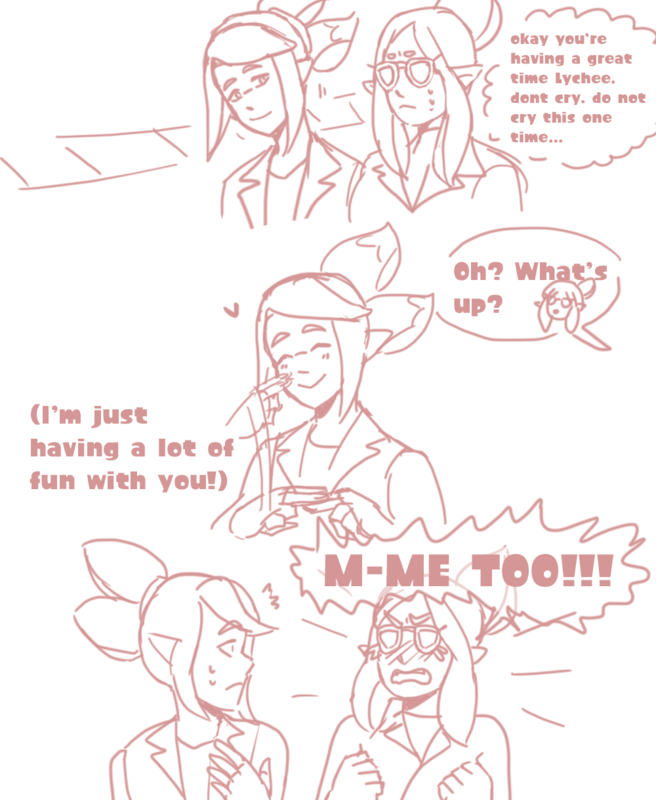 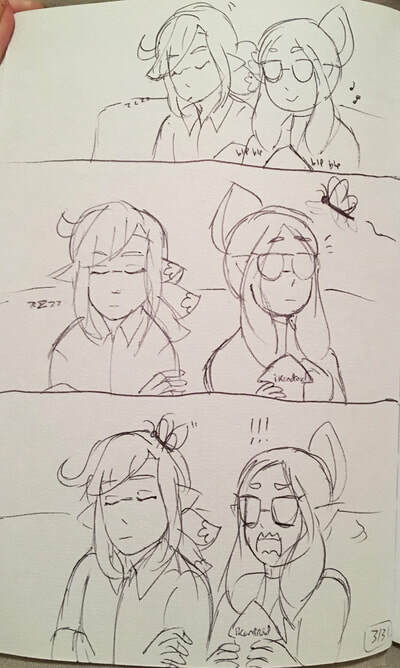 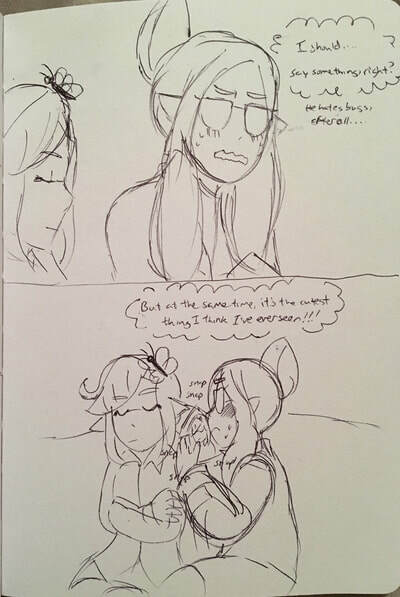 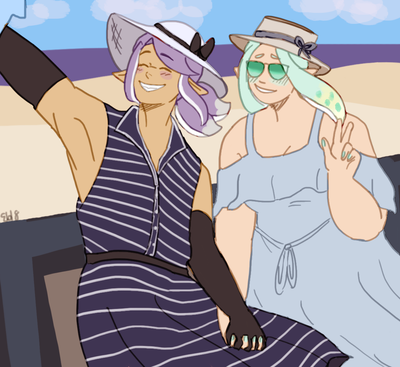 Until Macaron came along, that is, though a lot of his flirting she assumed to not be serious, so it took a while to reach that point. 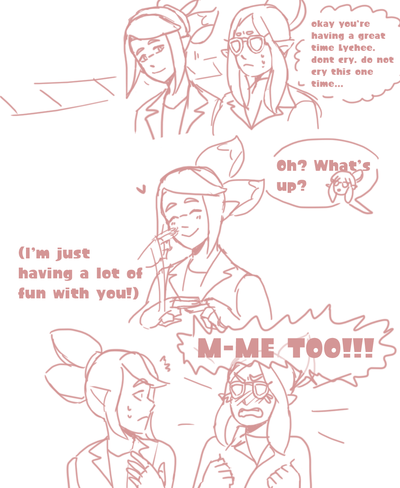 She's in a loving relationship based on a rock-solid friendship, and she couldn't be happier with Macaron every day.